The process is FASTER because this is Work Visas and not Immigrant Visas. One of our clients in Louisiana has a huge need for nurses in all specialities including but not limited to medical, surgical, OR, PACU, ICU, CCU, Telemetry, Peds, Dialysis and many more. Our client is a magnet facility, which only 4% of US hospitals hold plus it is also a teaching hospital. This means that they can sponsor the nurses for an H-1B visa, which also allows their spouses and dependents to accompany them but they cannot work. A green card petition will also be filed for the nurses as their enter their 3rd year and final year of their contract. If they already possess a previous priority date from a previous I-140 petition they can use this and if current a green card can be filed earlier for them. 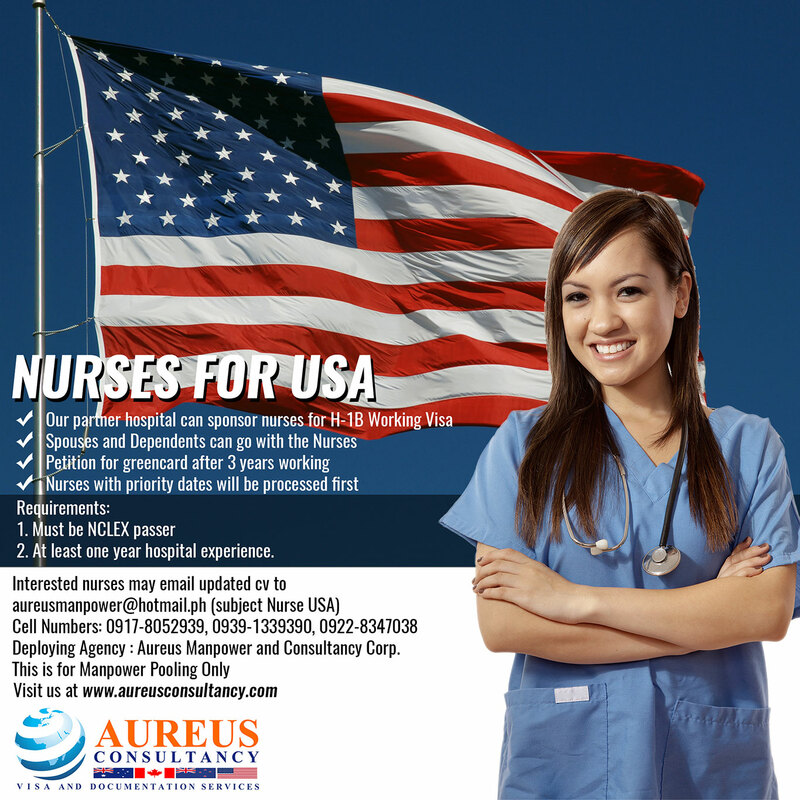 Nurses will be paid according to their years of experience so they will be earning the same as their US counterpart. They will also be given cash allowance on arrival to help with their relocation costs. Our US agency staffs will be the ones to meet and greet them at the airport and who will assist them in getting set up in their accommodation. 2. At least one year of current or recent nursing experience. The more experience the better.